WHAT: DMM Gear Breaking Night! When you ask seasoned climbers what the best brand of climbing hardware is, a climber who knows their gear will say, DMM. DMM is a company based in Wales that makes carabiners, belay devices, quickdraws and other climbing equipment. DMM is widely regarded as the best climbing hardware manufacturer, producing the highest quality equipment for climbers. When you clip a DMM quickdraw, feed rope out of a DMM belay device, or even just handle a piece of DMM climbing equipment, you'll notice the difference. This November, DMM representative Chris is flying over from the UK to tour Australia. During his visit, he'll be stopping in Melbourne to run a special demonstration, where he'll be using a purpose-built machine to test the breaking points of different types of gear. 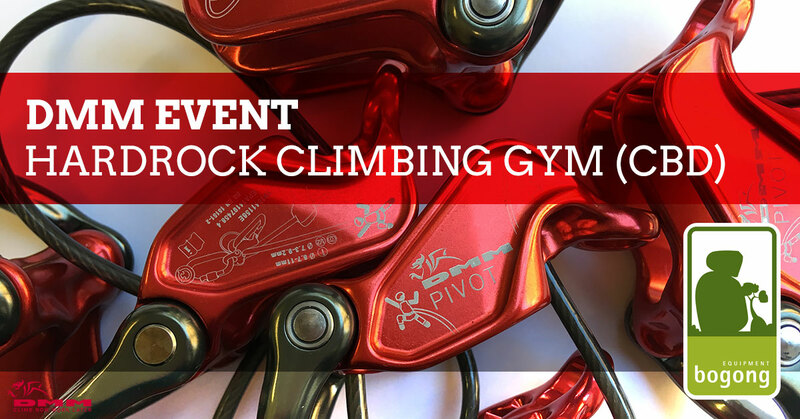 For a user of equipment like carabiners, bolts and belay devices, this will be a unique opportunity to see what sort of strain different types of gear can handle, and where they tend to break. This is a one-off event, where you can check out new 2019 DMM toys and even demo some of it. Also, there will be a chance to win some kit and pick up a limited edition Australian Road Tour DMM carabiner. Australia's DMM representative Matt Adams will also be present on the evening, as well as Bogong Equipment's store manager HP Gluck. So, this evening will be a great opportunity to ask questions, look at new gear and learn more about how climbing gear works. 1. Bring gear to break. Bring your old slings, carabiners, ropes... whatever you like! 2. See the DMM Pivot belay device demonstrated in Guide Mode. 3. Have a play with DMM quickdraws. 4. Take a sneak peek at 2019 DMM gear. 5. Grab a special edition DMM carabiner (bring cash!). Entry is free if you're just taking a gander; if you're climbing, it's just Hardrock's regular gym entry fee. No bookings needed. See our range of DMM equipment here. WHEN SHOULD I RETIRE MY CLIMBING HARNESS?